there. People would know me, and it would sort of be like…family. saved him from four years in prison. It’s just the start of something great here in Deep Haven – a new life, a jumpstart on my career. him introduced as Darek Christiansen. His older brother. Haven – nothing bad happens, here, right? 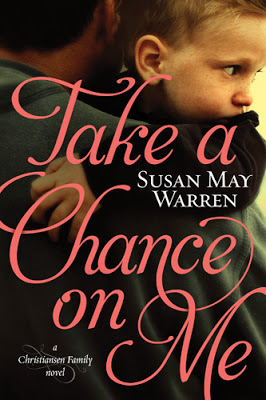 Read my story about starting over in Susan May Warren’s new novel, Take a Chance on Me.